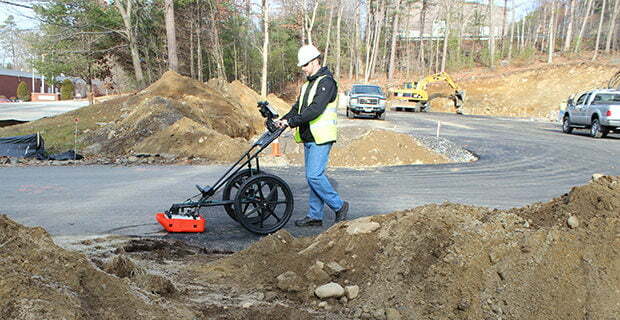 UtilityScan Tablet | GSSI Geophysical Survey Systems, Inc.
GSSI Training teaches a variety of UtilityScan courses to familiarize you with GPR technology and teach you how to use GSSI’s varied line of utility locating products. All classes are two-days in length and are specific to the UtilityScan model. Please make sure you have chosen the correct class for your equipment. Please feel free to contact GSSI Training at training@geophysical.com or 603-681-1109 if you are unsure which class is right for you. The UtilityScan Tablet course is a two-day introductory course focusing on GSSI’s standalone, tablet based UtilityScan DF (Dual Frequency) and UtilityScan HS (HyperStacking). This course is offered at GSSI Headquarters in Nashua, NH. Students will gain valuable hands-on experience working with the equipment and processing the data. While many students come to this class for underground utility locating training, GSSI trainers may suggest this class to introductory level students from other applications. Please contact GSSI Training if you are unsure if this is the right class for you.